We at LearnQuest believe an organization is only as good as the company it keeps. That's why LearnQuest has forged alliances and partnerships with the some of the best software vendors and industry thought leaders. As an educational organization committed to delivering the highest quality of instruction to our clients, achieving the highest level of educational certification and licensing is our priority. As its Authorized Global Training Provider, LearnQuest delivers individual, enterprise and technical training to support today's leading creative, business and IT professionals who need to stay current on a variety of Apple products. LearnQuest delivers Apple Authorized training to technical audiences on iOS and OS X, creative professionals on Apple's Pro Apps, and individuals preparing for the Apple Certified Mac Technician (ACMT) and Apple Certified iOS Technician (ACiT) Service Certification Exams. LearnQuest is an IBM Global Training Provider and Premier Business Partner. IBM provides Global Training Providers with robust curriculum, participating with LearnQuest to create world-class, highly-effective training, delivered everywhere in the world. Infor builds beautiful business applications with last mile functionality and scientific insights for select industries, delivered as a cloud service. From worldwide headquarters in New York, Infor supports more than 70,000 customers, doing business in more than 200 countries through its network of nearly 1,800 partners and social perspective that #workisbeautiful. With 90,000 employees in over 190 countries supporting and developing varied products and services, Microsoft is focused on ensuring a high level of satisfaction among customers and partners. LearnQuest is a Microsoft Silver Learning Competency Partner. 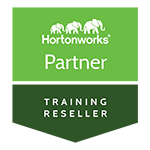 Hortonworks is the leading provider of Apache Hadoop, especially designed and developed for enterprise platforms, and LearnQuest is pleased to make this offering available to support the diverse needs of its customer base around the world. Oracle is an American multinational computer technology corporation that specializes in developing and marketing hardware systems and enterprise software products — particularly database management systems. VMware is a provider of virtualization software, founded in 1998 and based in Palo Alto, California, USA. MacTech Pro Events are the next incarnation of MacTech’s successful one-day, single-track, regional hotel-based seminars with a specific focus on the needs of professional Apple IT Pros, techs and consultants. 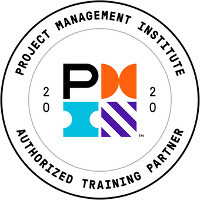 In conjunction with APMG-International accreditation, LearnQuest has been certified as a training provider for Software Asset Management, sponsored by the International Association of Information Technology Asset Managers, Inc. (IAITAM), a professional association for individuals and organizations worldwide involved in any aspect of IT Asset Management (ITAM) and lifecycle processes. The IIBA is an international not-for-profit professional association for Business Analysis professionals. The IIBA vision is to be the leading world-wide professional association that develops and maintains standards for the practice of business analysis and for the certification of practitioners.